With the support of «Risk Reduction Foundation» students of Kyiv- Mogilyansk Academy took part in the international legal competition named after Ben Telders. Ben Telders competitions in International Law today are considered the most prestigious competitions in public international law in Europe. They were founded 35 years ago by students at Leiden University in the Netherlands to commemorate the memory of Professor Benjamin Teldersa who died for their beliefs, adherence to the rule of law and civil society in a concentration camp during World War II. Annually competitions collect students from the best universities all over Europe and take place in the Peace Palace in The Hague, the seat of the International Court of Justice of the UN. There, before the scientists, practitioners and proper judges of the International Court, each of the teams will present their position on a suspended dispute between the two countries — from the point of view of the plaintiff and the defendant. Only one team has honor to represent the country at the international round (with the exception of the Netherlands, which is a founding country and is represented by two). To do this, teams of students must submit a written memorandum on behalf of the plaintiff and the defendant in English and orally defend its position before the competent judges in the national round of the countries where it is held. 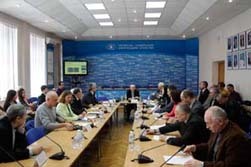 In the competition Ukraine was represented by the students of the Faculty of Law of the National University of «Kyiv-Mogilyansk Academy», which won this right in the national qualifying round in March 2012. 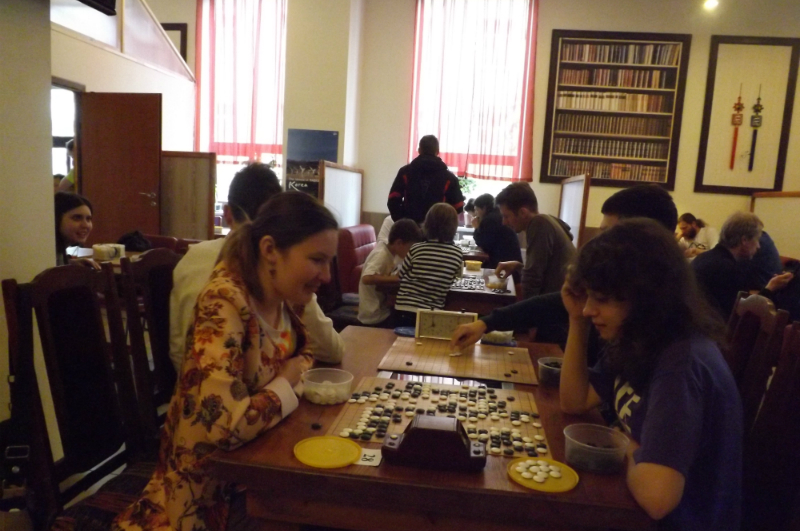 Team consisted of four students of the third year of study: Maria Ulyanovskaja, Andrey Moskaluk, Ekaterina Polishchuk and Victoria Masenko, under the guidance of coach — a senior lecturer of international law and specific legal Sciences of Faculty of Law of NaUKMA Ekaterina Krahmaleva. Ben Telders competition — is a unique educational tool, a forum for the exchange of new ideas and concepts in the field of public international law, as well as an indicator of belonging to the circle of the best in international law — both students and universities participating in them. Preparation for the competition requires from students hard work and tremendous self-discipline, since the writing of the memorandum and oral rehearsal last at least a few months, but it gives skills of conducting serious research in the field of law, public speaking, presentation, and increases the chances of the most successful professional career. «We are very grateful to the International «Risk Reduction Foundation» (Head — Vladimir Kosterin) for support. Because, unfortunately, the modern financing system of education does not include participation in international competitions. The support of such prestigious competitions as of B. Telders, promotes European integration of young people and improves the image of Ukraine as a legal and democratic state in Europe «- said the coach of the Ukrainian team Ekaterina Krahmaleva. Competitions were held for three days: two days of semi-finals and on the last day met two strongest teams, this year they were the United Kingdom and Norway. Each of the participants had to compete with two other teams, defending the position of one of the parties (plaintiff or defendant). «Both games gave us an unforgettable experience, but the second game for me was probably the most exciting for the whole process of training and competition, as the judges have been very active, asked a lot of questions and it is very hard to convince them that you are right. As we analyzed later, these judges gave me and Katya Polishchuk low scores, because of which the overall result of the command has significantly worsened, «- shared her impressions member of the Ukrainian team Victoria Matsenko. 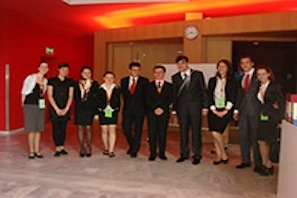 As a result of competition the Ukrainian side of the plaintiff (Maria Ulyanov and Andrey Moskaluk) received 12 th place for the oral rounds, and, in addition, Andrey Moskaluk was fifth in the top ten speakers in international round of competition. In the team event by results of the written and oral parts Ukrainian team took 19th place in the tournament, surpassing countries such as Hungary, Denmark, Portugal, Iceland, Serbia, Lithuania, France, Turkey. 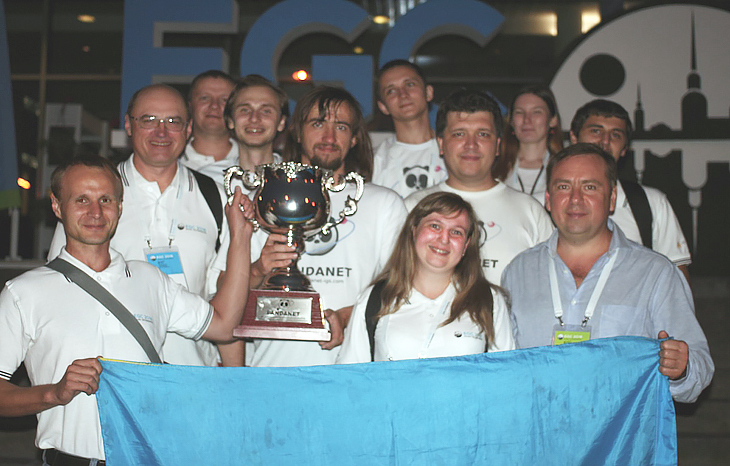 A first place was conquered by hosts — students of Leiden University in the Netherlands. «Among the things that really amazed was simplicity of some esteemed jurists with which they treated us, dialogue on an equal footing, ready to explain to everyone his mistakes in the informal circle after the competition. Some judges even gave their business card and invited to visit them! «- Said Victoria Matsenko. «Week in The Hague in general was like a fairy tale! — said Andrei Moskaluk. — I think that every minute of staying in this amazing beautiful city will always remain in my memory. As for the competition, despite the fact that our team failed to make the top 10, we realized that we can play and even win against strong European teams, even against England, which is the second time in a row in the final, but actually «not as daunting as it is painted." In our situation, it might be advisable to say the clichéd phrases of defeated football players such as «It’s a game," «It happened this time," and the like, but I was much more impressed with the slogan «Never Give Up!», with which I am sure we will deliver thr Ben Telders Cup in Ukraine.